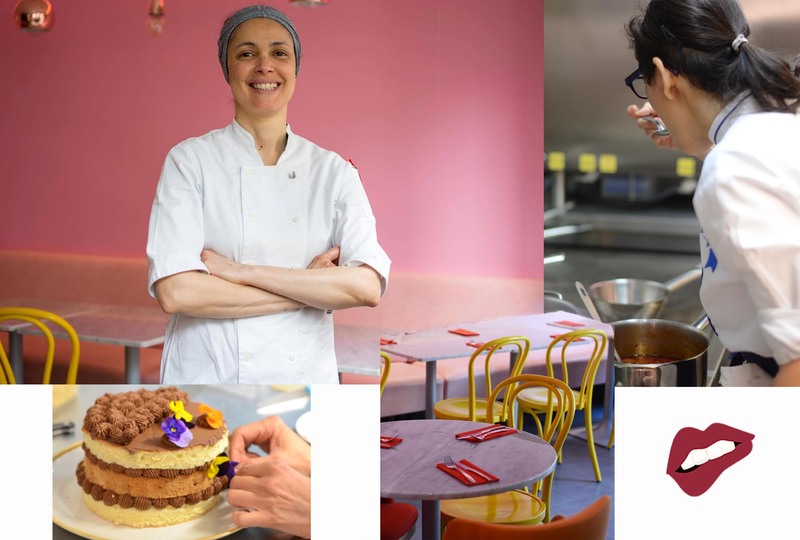 Angolan Portuguese Patricia Martins has just opened her restaurant Welwtisch in Paris after obtaining the Grand Diplôme in 2015. Patricia is very committed when it comes to the recognition of women chefs in the culinary world. She was notably interviewed in the movie “A la recherche des Femmes Chefs” (The Goddesses of Food), which was released in July 2017. What made me want to study in this field was simply the fact that Cuisine was and always will be a big dream of mine, I was always a host and a cook so when I finally had the time and the opportunity to study cuisine and become a chef I took it! Le Cordon Bleu it's the door for the Culinary world, the people that you work with, meet and the opportunities you have, shape you to make you a better and successful professional and change the way you view the food business and world. My favorite memory has to be the relationship I built with my peers, the effort everyone made to create a great team and always succeed even though we were all from completely different cultural backgrounds which made the whole thing so much fun and diverse. We're able to learn as much from people around us as from the Chef's and the whole Cordon Bleu team. Before I studied at Cordon Bleu Paris I came from an administrative background, business and education. I've worked all my adult life in endeavors as such. From an early age I helped my mother in her personal business, we had a restaurant and had to help her out. I think that's when I was bitten by the cooking bug. So much of her techniques and secrets are still present at my own restaurant today. Don't take for granted the fact that you are here. This field needs all the techniques and skills that Cordon Bleu provides. The institution is a guideline for your future but it's not here that you become a chef, it's up to you to make your journey happen. No one prepares you for the work you're about to face but all the little secrets and advice the Chefs will give you are precious to succeed. Trust your instincts but remember to dominate the technique, this is the advice I wish I knew and as soon as I realized it I was able to cope and appreciate the amazing journey I was in. I'm still in Paris at the start of my new career and I opened Welwtisch at the heart of the 11th arrondissement. I would love to win a macaron Michelin. Also I want to continue working and supporting the role of women in the cooking world so that we have more recognition. About the future it truly is an open book, it's important to take each day as it comes and to be grateful for what you have today and for every little struggle you're about to face.